Not being a native of the place one lives in can sometimes offer a fresh perspective. And even though I have dwelt in the Garden State for over twenty-five years, I do often find the place fascinating. First of all, let's face it, Jersey takes an awful beating as a result of Snooki and the Gang, corrupt politicians, and the view from the infamous Turnpike of oil refineries, chemical factories, and rubber plants. To some, these may look unappealing ( and I include Snooki and friends with this). But there is a whole other New Jersey out there that is largely hidden away from the tourists on their way to NYC. 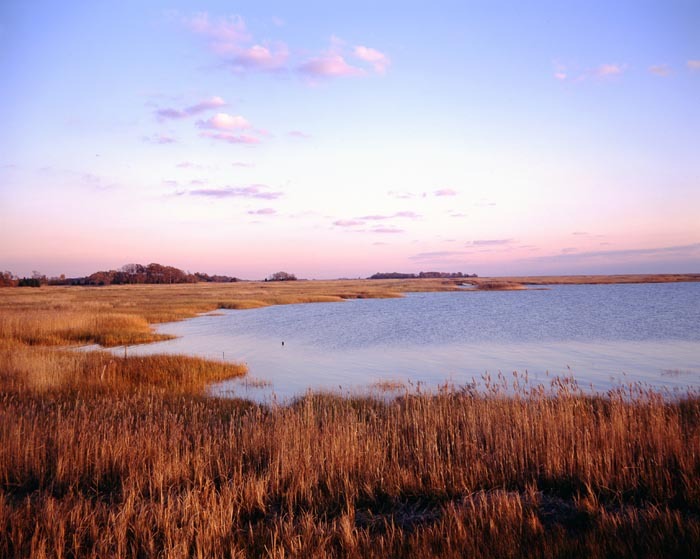 It is a place in which I often set my stories, and bears little resemblance to Soprano Land: a place of leafy suburbs and rolling farmland; salt marshes and barrier islands; pineland forests and windswept beaches. The county I live in is called Cape May, and named after a Dutch explorer by the name of Mey who sailed by sometime in 1623. He was too busy exploring, apparently, to bother landing on this new cape that he had discovered. Of course, he had only discovered it for the Europeans who were to follow. Native Americans had fished and hunted the area for thousands of years before Captain Mey bobbed by in his little ship. The historical tribe was known in their own tongue as Lenape, an Algonquin peoples. The Whites would call them the Delaware after the river, which was in turn named after Lord de la Warre, who saw to it that the English, and not the Dutch or Swedish, would dominate this part of New Jersey. The poor Dutch got stuck with Soprano Land and NYC; the Swedes just went home. The first European settlers to the area came mostly from New England, Virginia, and Long Island, and they came for the whaling. In those early days, whales often traveled along the Atlantic coast side of what would become Cape May County, and even into the vast Delaware Bay that washes the western half of the peninsula. The locals would simply row out to harpoon the great beasts and tow them back to shore. Even back then, with only a sparse population of whalers, it didn't take long to deplete the animals and virtually kill the industry. The English turned to farming and fishing, and for the next several centuries this was what they did. Pirates frequented the region as Jonathan Dickinson wrote in 1717, "We have been perplexed by pirates on our coast and at our Capes, who plundered many of our vessels." Captain Kidd, that most unfortunate of pirates, spent some time in the area, as did Edward Teach, of "Blackbeard" fame. Naturally, tales of buried treasure abound. Most of these are baseless, but try telling that to all the folks with metal detectors walking the beaches… fugedaboutit! It never made much sense to me that pirates would risk hiding their treasure on land. After all, sometimes they might be gone for months or even years. But then it was explained to me that this was mostly done when the boys in pantaloons were planning a visit to a large town, such as New Amsterdam, to replenish their stocks and provisions. There was always the chance that they might be recognized as pirates and arrested. The treasure trove on board could be damning. Hence the lightening of the load prior to docking. 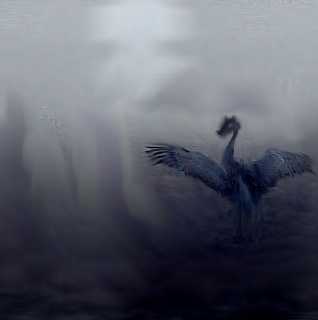 The Jersey Devil legend sprang up in this period as well, and comes out of the haunted pine barrens. It seems that the dirt-poor and miserable Mrs. Leeds of that neighborhood, upon learning that she was pregnant with her thirteenth child, cursed him; wishing the devil would take him. Apparently, she had some pull in hell, for her son was born with wings and hooves and flew out the window to begin a reign of terror over that dark and lonely region. He does so to this day. 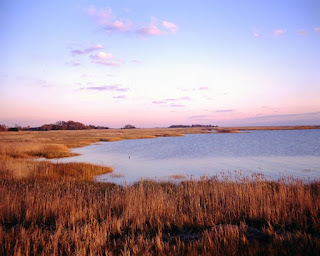 Cape May became a county in 1692, via a charter from the Crown. In those days there was a West and East Jersey--Cape May County being in the west. There is a cemetery at the county seat, Cape May Court House, that dates to 1766; prior to that people were buried in their back yards, a custom still observed for former business partners in North Jersey. By the way, nearly everything in the county is named Cape May Something: There is the aforementioned Court House, wherein sits a several hundred year old (you got it) court house, there is also Cape May City, West Cape May, Cape May Point and North Cape May. There was even once a South Cape May, but the sea claimed it as its own some time ago. God's judgement, perhaps, on one Cape May too many. Enough already with the Cape May. New Jersey became known as the "Cockpit of the Revolution" during the War of Independence because of all the important battles fought on her soil. Washington slept everywhere, and New Jersey named not one, but several towns, after the father of our nation. Having a maritime economy, the southern half of the state was affected by the War of 1812. This region also produced one of our nation's earliest naval heroes in the person of Richard Somers. This young man was to lead what amounted to a suicide mission against the Barbary pirates in Tripoli. Sailing directly into their harbor under cover of darkness, he and his crew boarded a captured American vessel and blew it up in spectacular fashion. Though the resulting explosion and fire damaged and destroyed many of the pirates' ships, it also took the lives of the brave American sailors before they could get away. Their graves still lie in a small plot in Libya. His home exists as a museum in Somers Point, the town named for his family. I have had the privilege of visiting it. As the northern half of the state embraced the industrial age, the south remained agrarian, not unlike the nation as a whole at that time. 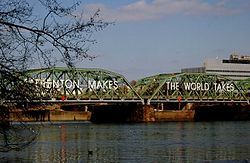 The capitol even boasted the proud motto, "Trenton Makes, The World Takes," in huge letters across a bridge spanning the Delaware River. It's there to this day. South Jersey, meanwhile, continued to make the Garden State just that. Most of the "industries" practiced in the south related to the exploitation of natural resources: cedar mining (the reclamation of prehistoric cedar trees from the fresh water swamps for shingles and ship building), bog iron collection from the streams of the Pine Barrens (this naturally occurring iron tints the water the color of tea), harvesting salt hay from the marshes for both animal feed and lining coffins, the production of glass from the fine sands of the region, etc... Then came the trains. By the late 1800s, the great population centers of both Philadelphia and New York had discovered what would be forever more known as the Jersey Shore. Trains made it possible. The industrial era had given the working man both stable wages and a few days off a year. He spent both at the shore. The tourist boom was on and the great shore towns began to spring up--Atlantic City, Asbury Park, Wildwood, Avalon, and yes...Cape May. Of course, many decided to stay, and the local population took a decidedly Irish and Italian turn. Catholic parishes began to pop up amongst the Baptist and Methodists. The small town of Woodbine was founded as a Jewish colony, while the town of Whitesboro became the the county's first predominantly African-American municipality--a by-product of the Underground Railroad, not the one from Philly. By the mid-1970s tourism was king. Though farms remained, they had grown smaller and began to adapt to specialized crops in order to survive. Commercial fishing survived, as well, by both downsizing and growing more efficient. The waters off New Jersey continue to be one of the greatest producers of scallops and clams along the eastern seaboard and oyster farming is making a comeback in the Delaware Bay. But the tourist dollar, and vacation real estate, are the mainstays of the current economy--battered by the recession, but still king. Unemployment here in Cape May County during the off-season (roughly from November to April) can reach 12% or worse. But you take the good with the bad, and this is the place I happily call home. My literary characters, Chief Julian Hall and Father Gregory Savartha, both live here, as does a ponderous and troubling little girl named Mariel, who is the subject of my next story in EQMM (Dec. 2012 issue). The bewildered protagonist of "Tap-Tap", though he meets his fate in Belize, worked for a tourist agency here, while Kieran, the young kleptomaniac of "The Vengeance of Kali," lives just around the corner. 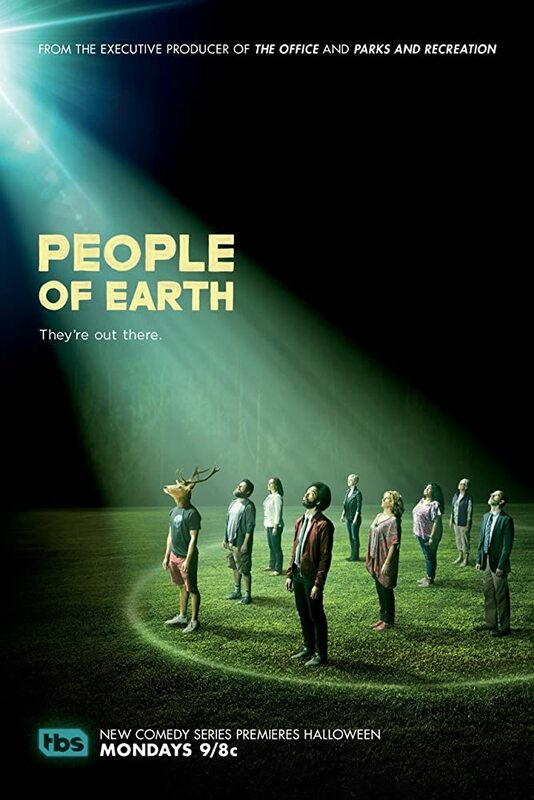 There are many, many more. So, as you can see, after twenty-five years in a place, you make some friends; form some ties. And luckily for me, having a fresh perspective, a "Jersey" fresh perspective on my adopted home, made it all possible.